WINNIPEG - is a 6 year old daughter of Win Win out of a Super Bowl daughter. She is a 7/8 sister to Clear Win. Winnipeg weighs in right on 1200 lbs and mid-seventies T2T. She is the type and kind planned at DCCI. She is what a total cow should be, with the addition of just a few white spots for decor. She will go over 80" and raise a special herd sire when the mating is perfectly exact. If readers are checking Facebook at AQHA Halter Horse History, or Halter Horse Forum there have been a series of 84 bios on famous horse breeders. Some of these have planned out a lifetime of mating systems that have produced the track record holders and World Champions selling for hundreds of thousands of dollars. The science of genetics has already been pioneered. We must learn from the success and failures of those who have made 50 years of genetic mating decisions before us. 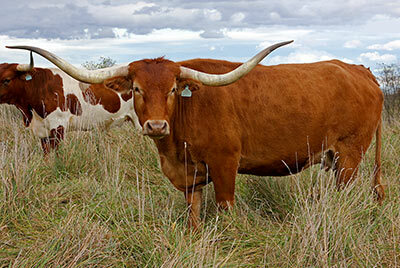 The Dickinson Cattle Co has used a combination genetic plan of the H. J. Wiescamp and J. V. Carter strategies. Study these brilliant mating schemes and the secrets are there. The experimenting is already done. At DCCI the method is "line-bred out-crossing." It was ingeniously applied by the Wiescamp plan and brilliantly harvested by the J. V. Carter program.